Exactly why he found himself volunteering, he’d never know, but soon he was spending his annual leave digging into what the powerful Longknife family wanted hidden and is up to his neck in trouble of every kind. 2.0 out of 5 starsSkip it. I love this series and one of the greatest annual anticipated reading events in my sad life is the next episode of Kris Longknife's adventures in space (it's also one of my saddest times, because I know I'll soon begin the waiting again). 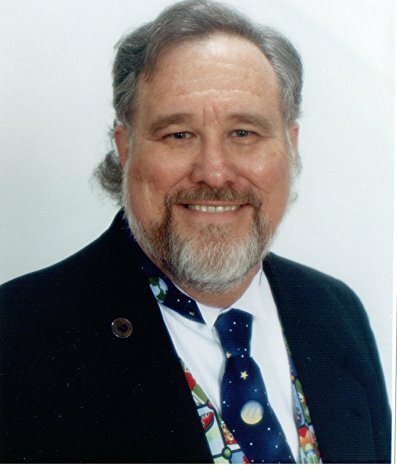 So when Mike Shepherd comes out with a novella from the Longknife series, I leap to get it. Very disappointing in this instance. This story parallels the events of "Furious," expanding somewhat on Kris's legal difficulties, but terminates well before the end of events in "Furious." I was very disappointed. This story breaks no new ground and I came away with the distinct impression that I had been reading a Chief Agent Foile novella rather than a Kris Longknife novella. Decent read, but easily skipped, especially considering the rather lofty price of $3 for a Kindle copy. Worth a buck at most. 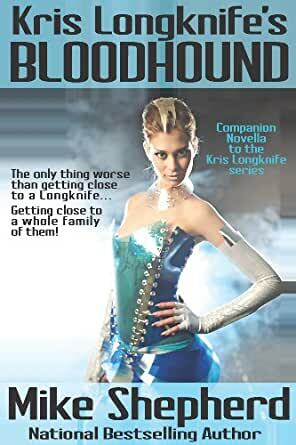 I have loved the Kris Longknife series, and all of it to date has been fun to read, interesting characters, and well executed plots. This one is a little thin, even for a novella, I would have rather seen it included in the arc of the larger story line rather than published separately. I always get concerned when an excellent series starts breaking up into short parts, prequels, spin offs, etc. Overexposure and a lack of effort almost always starts to creep in. I understand the publishing business aspects of this (I have been around authors and publishing, expecially in SF and fantasy since the 1950s) but it almost never satisfies me as a reader. I sincerely hope that Mike Shepherd and his otherwise excellent Kris Longknofe series doesn't fall prey to this. I am becoming very disappointed with the novella trend. The item description described this as 77 pages but includes a lot samples from other Mike Shepherd books. You should not list something as 77 pages when is closer to 50. One thing I hate about any series is the disconnect between the end of one book and the start of the next. Mike does this when a book starts out with Kris drunk in a bar. OK, how the heck did she fall off the wagon and end out in the far and beyond? This novella fills in some of the gap between two books (not I won't tell you which two.) plus you get a hint of what Nelly looks like! I'd kept the mental image of a small white, OK forget it. Still looking forward to his new books. From the hints they're going to expand on the series background as well as carrying the series forward. This story is a fill in between book 9 and 10 concerning Senior Chief Agent In charge Foile. I recommend it for its background info and entertainment - enjoy. The cover is neat, but not a typical "Kris" look, different model hired to create the cover? Still, its a great read, only 1 start off for spelling mistakes, really very few of those. 4.0 out of 5 starsNever too much Kris! Mike Shepherd has been one of my favourite authors for some years, (yes I was a Mech Warrior fan ), but with the Kris Longknife series he has built a suite of strong characters and a strong plot line. I'm not normally a fan of novellas and at 150 pages this is exactly what this is. As something to keep his fans interested following "Furious", its sure to bring in new fans as well. 4.0 out of 5 starsLike these but proof reading could be better. These are a little predictable and very cliche`ish but readable. I search for series novels that aren't too juvenile. A lot of SciFi is. I've read all available books in the series and enjoyed them. The main thing with these is they needed a little more proof reading but they're not too bad. Just be forgiving of that enjoy.